Unlock the essence of colour mixing in our art classes and gain the skill to command them! One colour mixing workshop after another failed me to understand proper colour mixing; and only ten years later did I finally meet a teacher that plugged the gaps in my knowledge – in just two days! I couldn’t believe how simple the basic understanding of the theory of colour mixing was, and how significant. It is sad that those techniques weren’t as readily available way back when I started out! And many of my peers struggled with genuine colour knowledge. The computer age is helping tremendously, but I honestly believe that an art class is still one of the best methods, and not by reason that I am teaching it, rather because I see how quickly students learn to master colour. Later when I was teaching art, I had a promising student join me at one of my colour mixing workshop who was studying interior design at one of the colleges on the Gold Coast. As she had an elaborate and impressive portfolio, I assumed that she had a good understanding of colour, and thus told her that she didn’t need to sit through the basic colour mixing lessons. But it turned out that the students at this college only parodied what the teacher was doing; without actually understanding the why, what and how behind colour theory or colour properties. That’s one mistake I shall never repeat! if the tutor can explain why complementary colours are so important when mixing colours in regards to changing a home colour naturally. If your “teacher” isn’t able to demonstrate these two characteristics to your satisfaction, then you might remain as unsatisfied as I was. ​Initially, colour mixing classes may sound somewhat theoretical; but once you grasp the essence of it all, it will be straightforward effortless and exciting. In fact, it is so simple to comprehend that even children of tender ages handily grasp colour properties. Intensity: In colour theory, this is also commonly known as chroma or colour saturation, and specifies the purity of a given hue. The highest intensity is the hue itself; while hues whose intensity is reduced form different tones. Temperature / Leaning: These colour properties help give “warm” or “cool”, but more so an understanding what kind of blue, red or yellow you should use to create a brighter or duller version of a colour. Hue just means colour, value speaks of darkness and lightness and chroma about intensity and saturation. Chroma is the purity or intensity of colour. To reduce the chroma of a colour, you would have to add neutral grey which has the exact identical value as the colour you are using. With a firm grounding in colour mixing lessons, future artists understand that tones are produced by mixing colours with grey, or by a combination of shading and/or tinting. 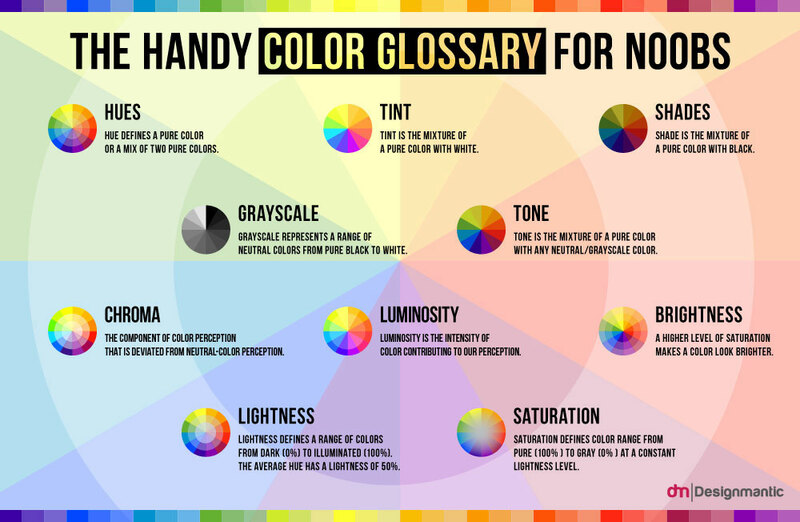 For obvious reasons, this discussion on colour theory, and my rather abridged explanation of colour properties might not be enough to satisfy the artist in you. If you are anything like me, you’ll want to explore all of this in greater detail and have it explained step by step with practical exercises. For those of you who have tried attending a colour mixing classes before, and are still struggling to understand the underlying principles and concepts, you are welcome to join our colour mixing workshop. Developed for anyone with even only a most basic understanding of art and total beginners, this workshop is guaranteed to teach everyone to mix colours as it should be explained: to give you the ability to mix any colour you wish to create from the most bizarre greens to all sorts of greys or browns. This is a crucial knowledge that no one can take from you once it is yours.